Home » Archive - past sales » Weeklong Flash Sale – Tile! Weeklong Flash Sale – Tile! 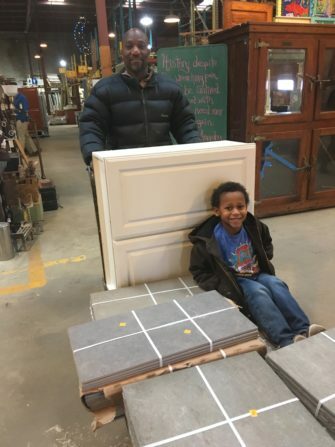 Forklift Fans Marvin and Israel were all smiles over these tiles they picked up last weekend! Kitchen or bathroom in need of a pop of color or texture? Come in anytime between Tuesday and Sunday with your measurements and shop our wide selection of glass and stone mosaic tile at almost half the Forklift price! Please note: Some exclusions apply. Sale does not include loose (unbundled) tile; ceiling tile; boxes and bundles that have been ripped open; select specialty items; carpet, wood, or other types of flooring; or bundles with missing or damaged price tags. 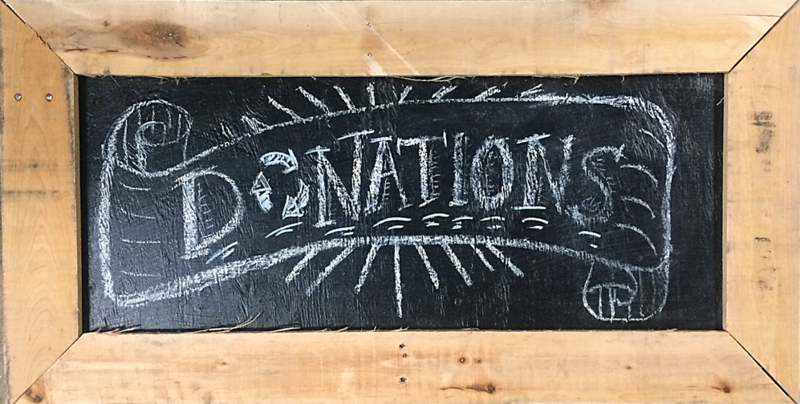 Flash sales do not include white tag items, items from our consignment partners, or online items. May not be combined with other sales. AND IF YOU HAVEN’T ALREADY, PLEASE VOTE! Please note: Contest rules have changed slightly this year. You can vote only once, and you’ll need to log in through a Facebook, Twitter, or LinkedIn account. So if you have social media, it’s especially important that you vote and share!